Does it really get any better? Today’s post is a quickie, sorry for that…but I hope you’ll forgive me when I give you this recipe. Combine tomatoes and juice (or stock) in a pot and simmer for 30 minutes. Add basil and puree with an immersion blender (or use a regular blender or food processor). Stir in half and half and butter, and season with salt and pepper to taste. 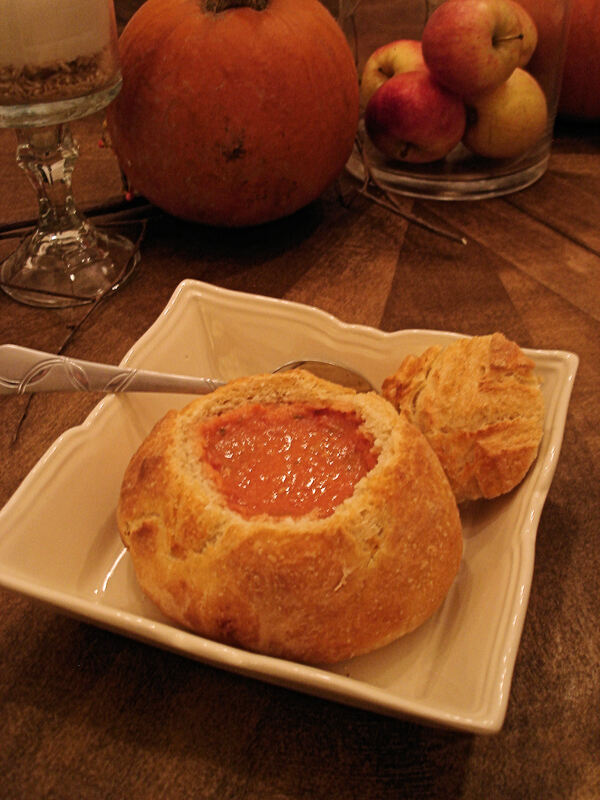 I served these in Cheddar bread bowls from Artisan Bread, I highly recommend this book!! Yum!! 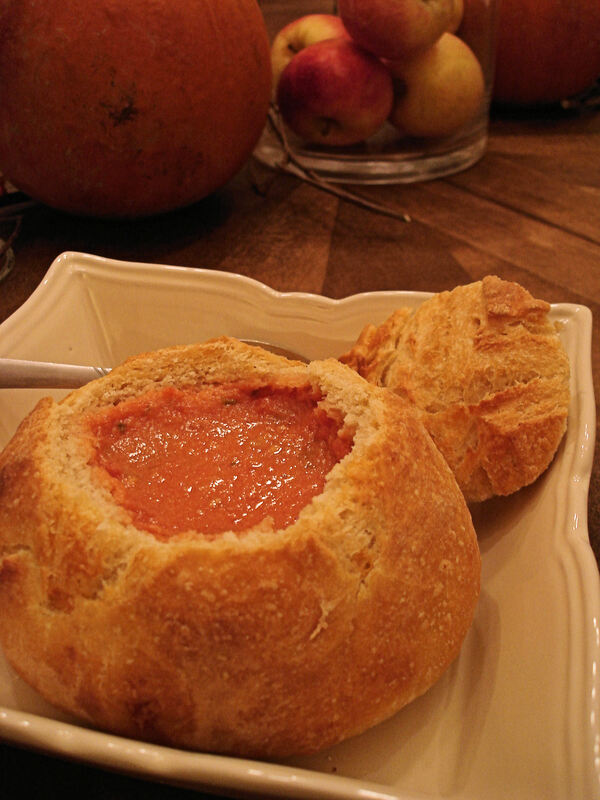 Looks like total comfort food! That looks amazing! I love to see soup served like this! Yum! I’m hungry now! That bread would make just about anything look delicious.